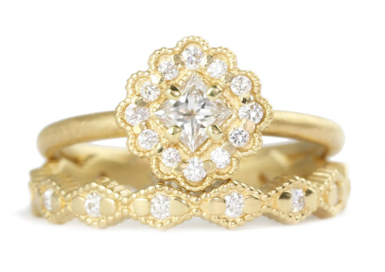 18kt yellow gold diamond cluster with a princess cut center surrounded by round diamonds. Weight ranges from 0.40ct-0.60ct. Matching diamond band.